Over the past thirty-two years, Iced Earth have consistently played a very pure form of heavy metal; founder member Jon Schaffer prefers not to label their sound, and while it undoubtedly contains power, thrash and melodic references, it is distilled of any definitive subgenre motifs. One could debate whether the ‘uncategorised’ nature of Iced Earth has prevented them from reaching the very top echelons of metal success. On the other hand perhaps it is their consistency, and imperviousness to outside influences, that has allowed them to survive this long, despite multiple line-up changes. Either way Jon Schaffer’s passion for playing exactly the music he wants rings through on Iced Earth’s twelfth studio album Incorruptible, the album title itself referencing his determination to do things his way. With Incorruptible, Iced Earth have eschewed the concept/theme formula which they have often used in the past, to simply compose ten stand-along songs that they really wanted to write. Everything you would expect from Iced Earth is there – powerful riffs with the rhythm guitar high in the mix; Judas Priest-style falsetto choruses; thrashy changes of pace; story-telling and glorious escapism. The stand-alone nature of the songs means a huge diversity of lyrical themes. First track ‘Great Heathen Army’ jumps on the Viking bandwagon with the tale of Ragnar Lothbrok’s sons; indeed the intro section sounds straight out of the Vikings television show. But it develops into a great thrashy track, with beautifully-layered guitars in the verse development, and an old-school solo. ‘Black Flag’ jumps on another bandwagon – this time pirates – and is filled with gloriously cheesy lyrics about ‘barrels of rum’, ‘hoisting the flag’, ‘silver and gold’ and even an attempt at an ‘aargh’ pirate accent. The thematic U-turns continue with the Game of Thrones-style ‘Raven Wing’, native American spirituality (‘Ghost Dance’), and the Civil War (‘Clear The Way’), as well as the general ‘downfall of mankind and rise of evil’ atmosphere that Iced Earth always tend to evoke. There’s a lot of diversity in the musical atmosphere as well, and a lot of mid-tempo stuff which may not suit those who prefer Iced Earth’s faster thrash style. However the diversity doesn’t feel too disjointed because so much of it references the band’s previous work, that the album feels in a sense like a retrospective. For example, ‘Seven-Headed Whore’ is very reminiscent of the title track from 2012’s Dystopia. It has to be said, though – there are a few fillers on the second half of this album. ‘The Veil’ and ‘Brothers’ are a bit boring, and the native American-themed instrumental ‘Ghost Dance (Awaken The Ancestors)’, while it is a good idea, also fails to excite. ‘The Relic (Part 1)’ has a rock musical feel, with flutes and slow sections, though I reserve judgement on its potential as Schaffer clearly has a Part 2 in mind for the next album. Best track is ‘Seven-Headed Whore’ which will already be familiar to Iced Earth fans as it was released as a single on 28th April. It goes without saying that a song with this title is an exercise in lyrical silliness, but there’s a wonderfully catchy descending riff, some effective Slayer-like staccato silences, and spectacular arpeggios in the solo. 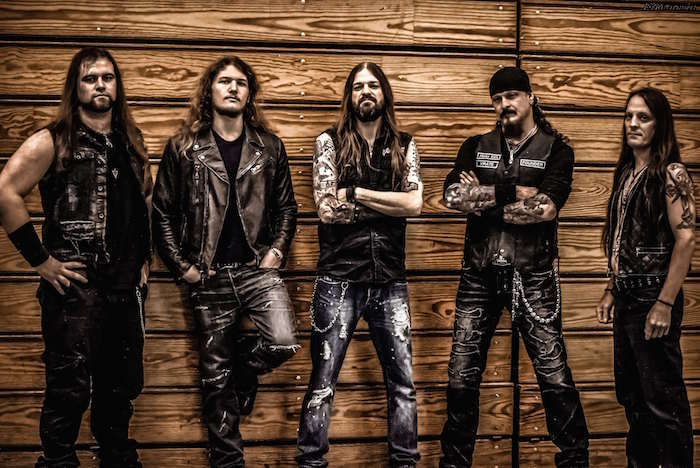 Iced Earth’s ever-changing line-up features a new guitarist on this album – twenty-five year old Jake Dreyer (Witherfall), and he is to be complimented for his excellent solos on this album, proving him to be a fresh and energetic contribution to the band. This album is going to sound fantastic played live, and indeed you can check out Iced Earth’s December 2016 live performance of ‘Great Heathen Army’ on Youtube. 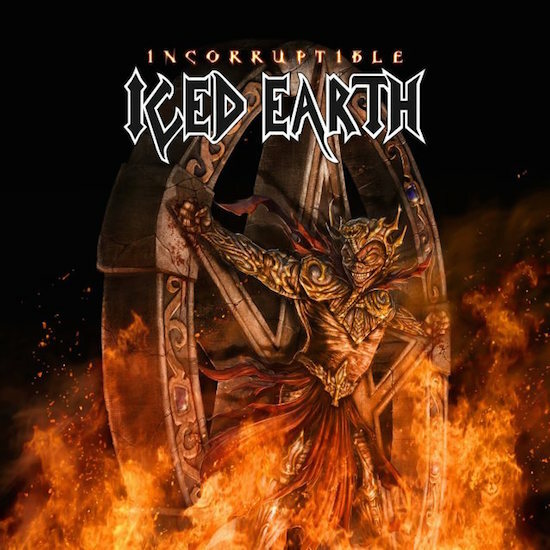 Incorruptible is a strong addition to the Iced Earth opus, with plenty of variety, and takes us on a journey that references all of the band’s previous work. 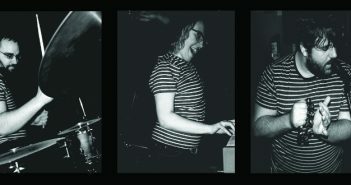 Jon Schaffer and his team continue to chart their own course, and appear to be full of ideas, so full in fact that they have a tendency to throw in extra riffs at the end of songs. This suggests that, despite the side projects and line-up changes, we can expect plenty more from Iced Earth in the future.